A poor farmer in the Andes is one of the few guardians responsible for sustaining biodiversity critical to humanity. This video tells the story of Julio Hancco 14,600ft above sea level in the Peruvian Andes. Julio’s humble life contrasts with the global significance of agricultural biodiversity. World famous chefs, international organizations, and experts in the field all played a role in Julio’s rise. 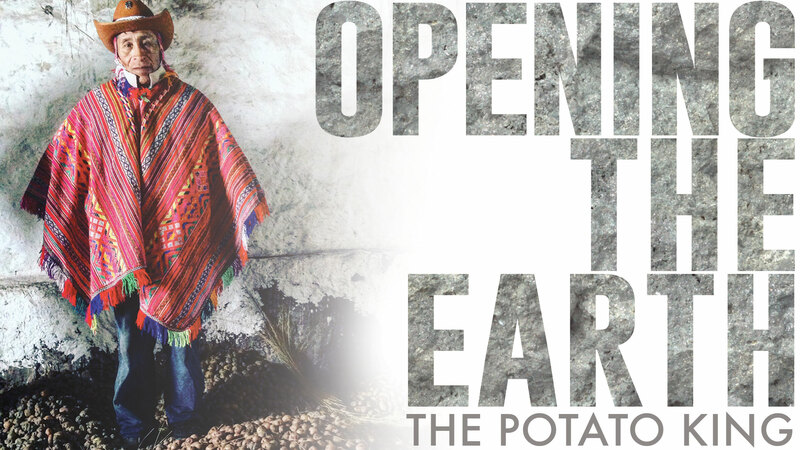 This film contrasts the humble life of a poor Peruvian farmer with the global significance of his traditions. Opening the Earth is a story telling project. We fundraised to create a short documentary that will focus on the strengths of an indigenous community and it’s global significance to agricultural biodiversity. This video will be the stepping stone to create more short documentaries exposing hidden strengths of those deemed “poor.” We have partnered with filmmaker Eric Ebner to realize this vision and to tell this story. Challenge perspectives towards economically poor communities. While the outside world should continue to support their development; we should also strive to understand mentalities of resilience and resourcefulness. Build pride within communities. Provide economically poor communities with documentaries highlighting their strengths. Garner publicity and support to design and implement a more ambitious project to share the stories of these communities.